Restore the missing king to his throne and the collect magical stones. "I quite enjoyed this entry to the Mortimer Beckett series. It was a lot of fun to play and it kept my mind active. I enjoy hidden object games very much, and this is one of my favorites!" In Mortimer Beckett and the Lost King, you'll travel to the Kingdom of Zantya. It's been 30 years since the King of the Zantya was seen for the last time. Malicious Sedrik Sayper rules the kingdom. 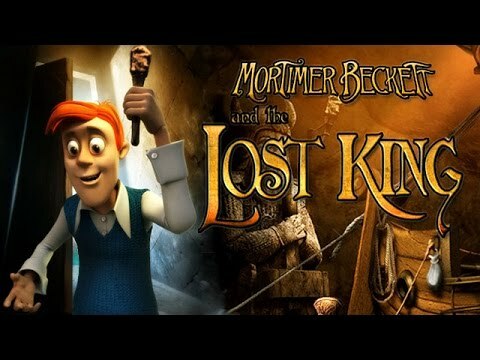 It's up to Mortimer Beckett to find the Lost King, restore his power and collect magical stones along the way. Can you help Mortimer complete this task? I really enjoyed this game. It is fun to go to the different locations. Once in a while a little cheat sheet on how to solve a puzzle was needed but Mortimer is a tricky kind of guy. I would recommend this game. The puzzles really require thought and time to figure out. The game follows the series well and makes it easy to play. Very enjoyable and well worth the money. Gee, this game really made me think and that's what I love to do when I'm playing these games. It's a beauty!